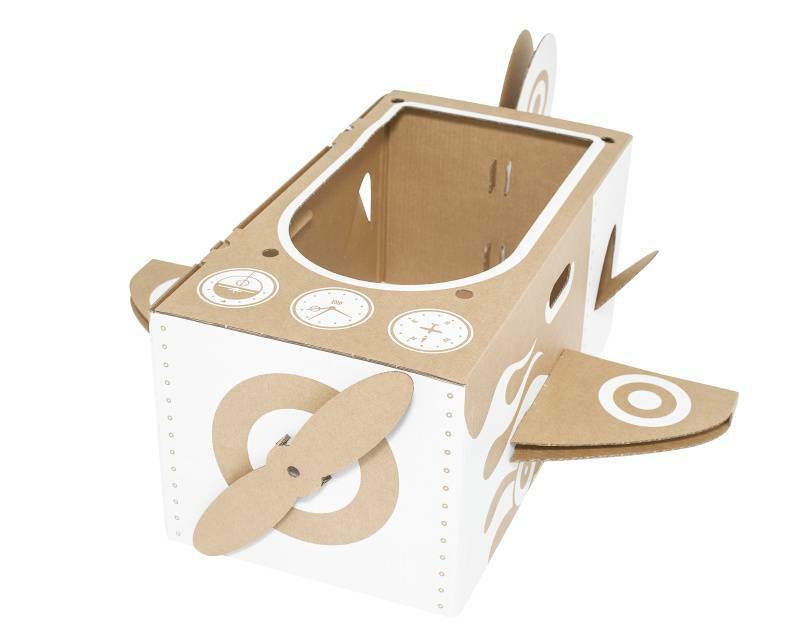 Do you know of a budding pilot, or maybe an aeronautical engineer? 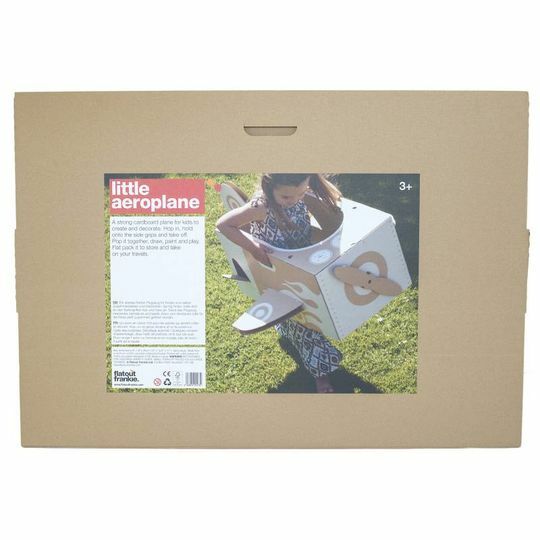 This little aeroplane would make the perfect gift whilst inspiring creative play. Jump in, hold on to the side grips and fly high into the sky. 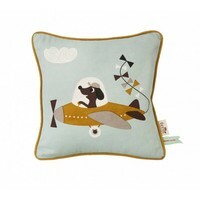 This sturdy aeroplane features slot-in side and tail wings. 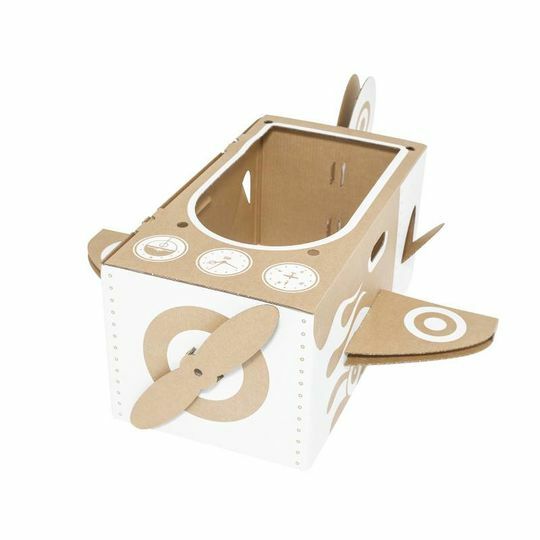 Additional holes allow the little pilot to add shoulder straps and pin to make a spinning propeller (straps & pin not included). Striking white graphics inspire room decorating and creativity. 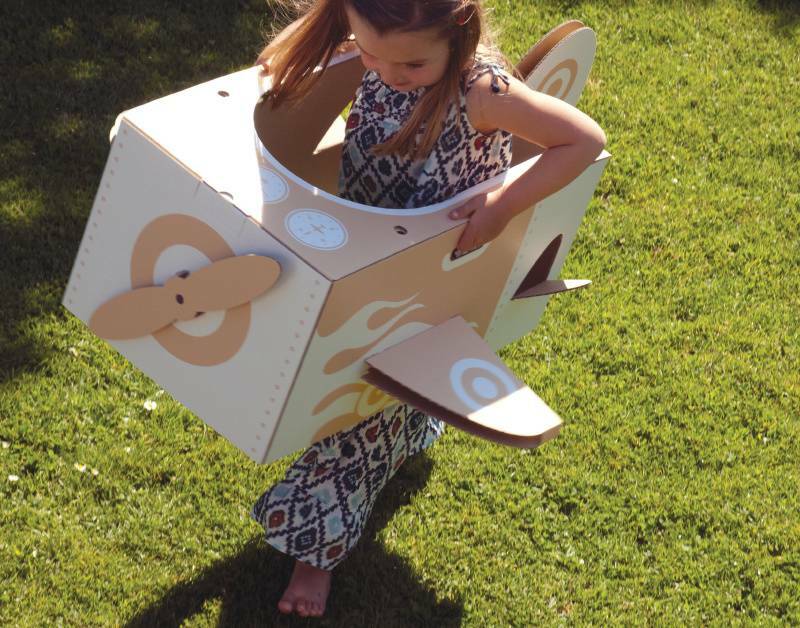 Let your little one's imagination go wild by personalising their little plane. 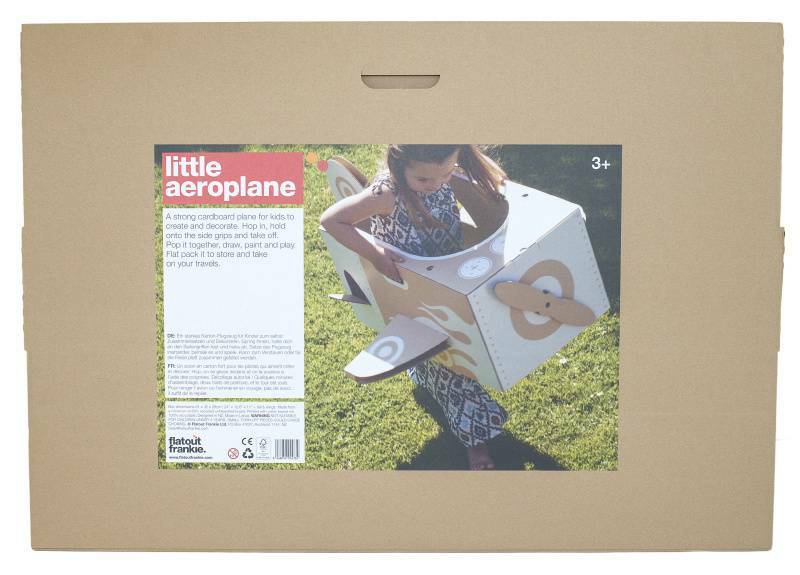 Pop it together to play, flat pack it to store and travel with. Makes the perfect holiday toy! 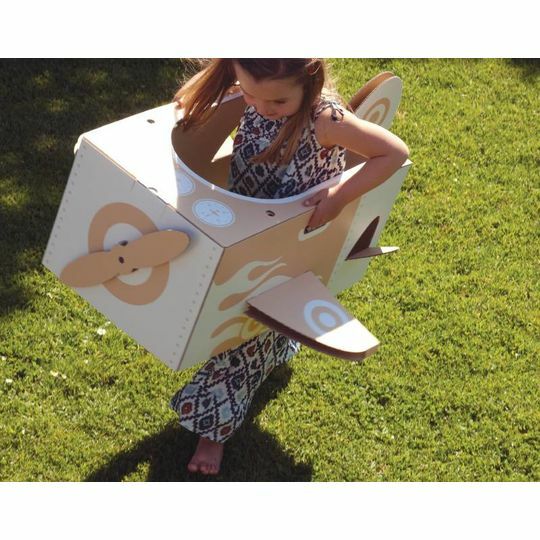 The sky is the limit with this awesome little aeroplane. 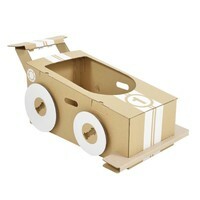 Comes packaged in strong cardboard envelope, perfect for flat packing, storing and sending again and again.